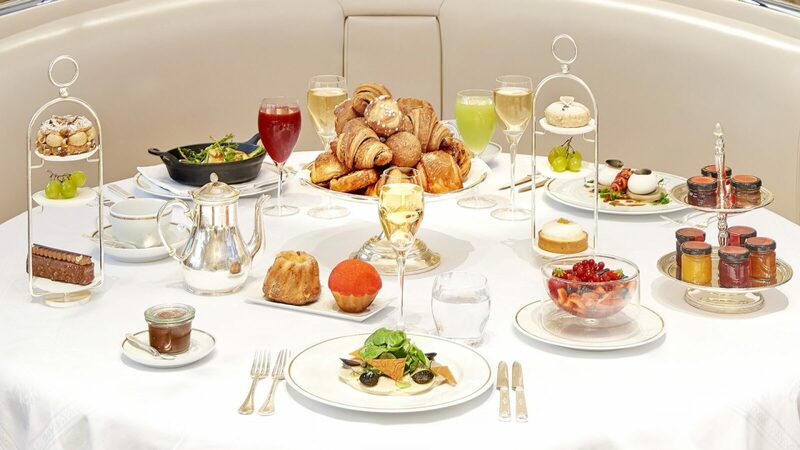 Breakfast means something different for everyone – but for us, it’s a moment to savour, to linger over coffee and to take your time sampling each of our exquisite pastries. Our chefs bring their passion to every dish, for a wonderful start to your day in Paris. 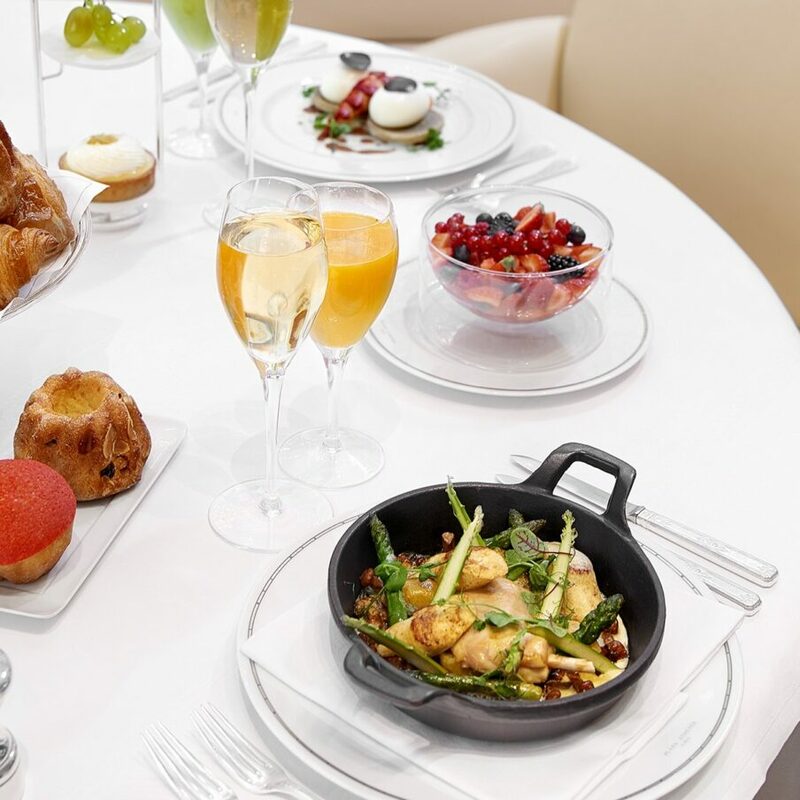 Far from a rushed start to the day, breakfast in our main restaurant unfolds in pure Parisian style, offering a taste for every appetite. 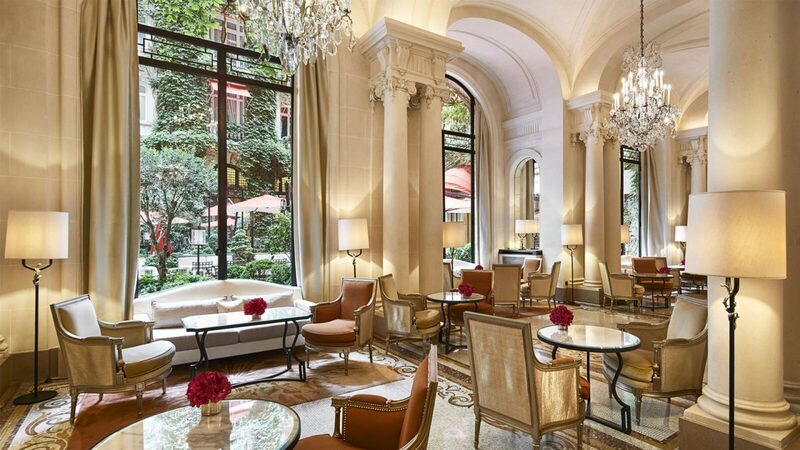 Within this spectacular setting of sparkling chandeliers and contemporary design, we invite you to discover our exquisite menus of freshly-baked pastries, smoked salmon, eggs and seasonal fruit. 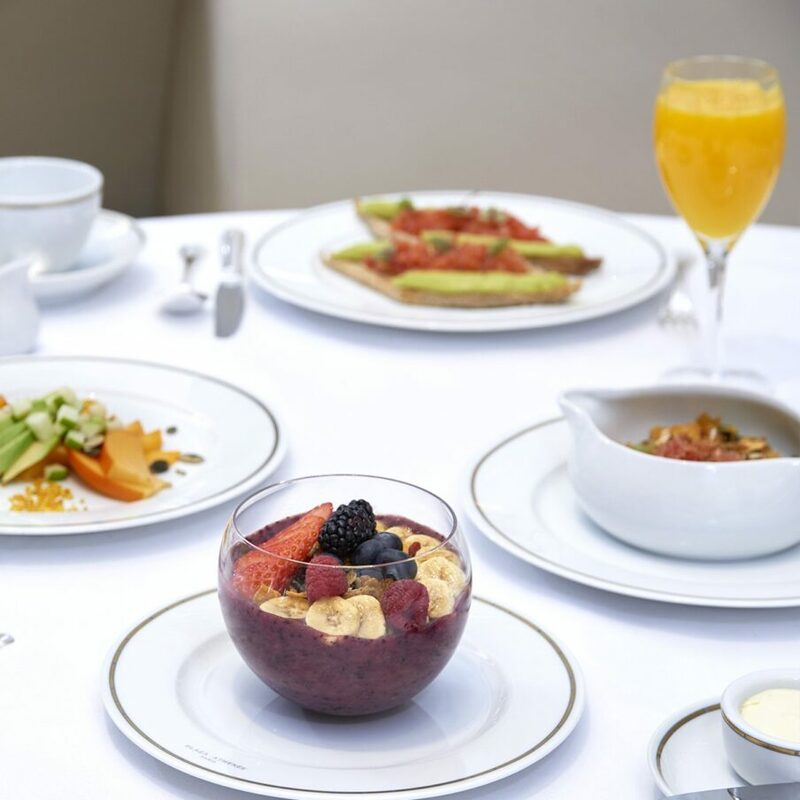 Whether it’s an early start with coffee and croissants, or a leisurely Sunday morning, breakfast at La Galerie is an occasion you can make your own. At the heart of the hotel, it’s a calm, elegant space in which to enjoy our continental or American menus, or sample the dishes from our full à la carte. With beds as sumptuous as ours, we understand why it’s difficult to leave. 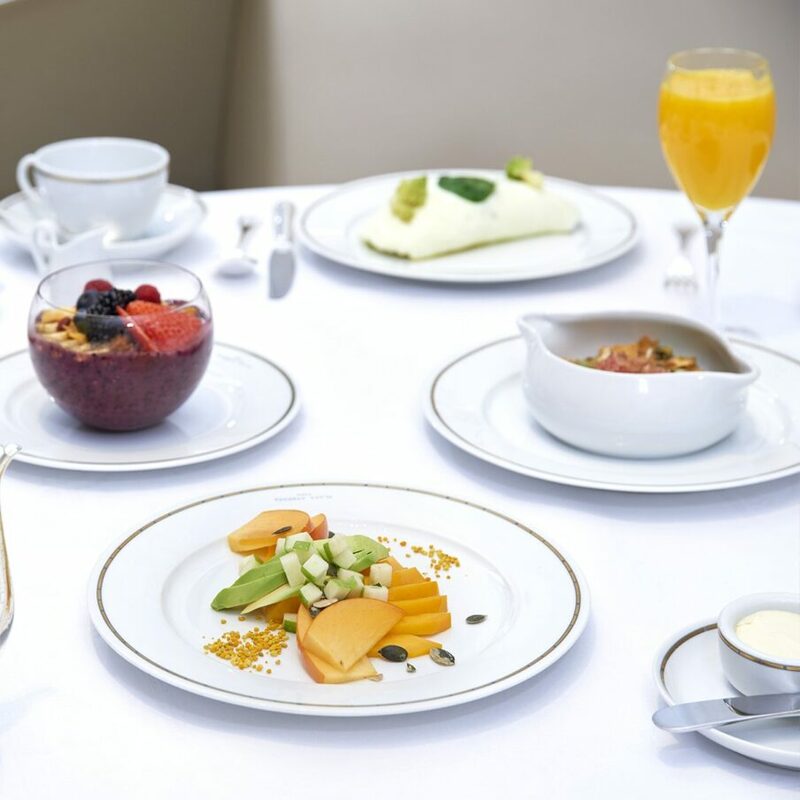 Let us bring breakfast to you with our wonderful in-room dining menu, featuring all our delicious options for your own bedside banquet, or al fresco breakfast on the balcony. That wonderful meal time that signifies a long, leisurely morning. 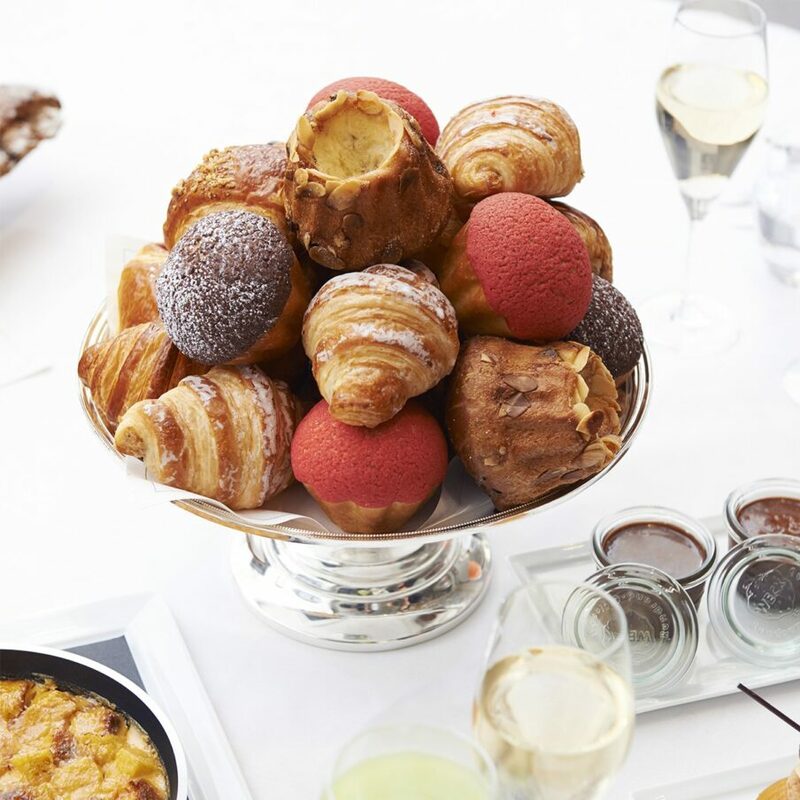 Our brunch menu presents a parade of Parisian delights, beginning with pastries, eggs and savoury dishes, finishing with Angelo Musa’s dessert of the moment. Join us on Saturday for our Haute Couture brunch, or end the week in style with live music on Sunday. Best enjoyed with champagne. The passion of our teams and their knowledge of our guests are a real strength for us, because breakfast is often the first contact of the day and in most cases, the guests’ last impression before they leave. It’s not often you get the chance to start the day with pastries created by an award-winning pastry chef. Angelo Musa presents freshly-baked cakes, croissants and daily creations to satisfy every sweet tooth, while continental and American selections mean you can begin every morning exactly as you choose. There’s a reason it’s known as the most important meal of the day. Our menus bring you the very best of Paris, designed to surprise, delight and inspire. Did you know we have our own fruit chef? From colourful platters and baskets to our famous acai bowl, every incarnation offers a new discovery, each expertly prepared by the master of fruit. The life of our bread begins at 3am, as our two bakers knead and shape the dough to bring fresh rolls to our guests every morning. Led by chief baker Guillame Cabrol, it’s a smooth operation that requires skill, patience and above all, passion. The latest addition to our menu, our healthy selection offers light, fresh and delicious options, such as avocado toast, acai smoothie and fresh fruit.